The number of self-employed workers has rocketed since 2001, and they now account for over 15% of the working population. And it’s no wonder, given the flexibility and independence that comes as part of the deal. Historically, it has been thought that it is very difficult, if not impossible, to get a mortgage as a contractor. But that simply isn’t the case. And as more and more mortgage providers appear on the market, it’s becoming even easier to buy a property if you’re self-employed. The trick is to understand the process and know where to go for the right advice. This article will stamp out some common myths and explain the requirements for getting a mortgage in the UK as a contractor. How do lenders define a contract worker? An employed person working on a fixed or short term contract. A self-employed person that works through one main company. This is where things can get complicated. Some providers are happy to lend to one of the above but not the other, whereas some won’t consider either. This is why it’s so important to seek advice from a broker with specialist knowledge in the sector, and access to the entire market. There are lenders out there who will consider you, no matter how niche your job situation. What factors do mortgage providers consider before they loan to a contractor? 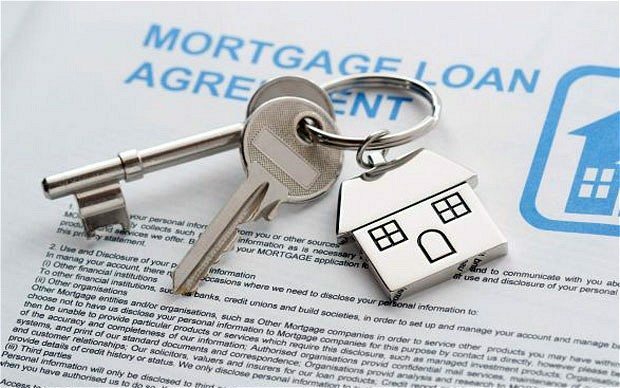 There are a number of different factors mortgage providers will consider before lending to anyapplicant. These include how much deposit you have, your credit rating, income, age and the type of property you’re buying – to name a few. All these can impact how favourably you’re looked at by lenders, and how competitive the rates you’re offered will be. For example, good credit history and a large deposit will generally work in your favour. What type of contractor you are. The length of time you’ve been contracting. How long you’ve worked in the industry. Whether you’ve had contracts renewed before. How long you have left on your contract. What are the lender requirements for contractors seeking a mortgage? It’s important to remember that every single lender works to different criteria and eligibility requirements – and these change regularly as the mortgage market becomes more competitive. Many lenders request that self-employed applicants provide three or more full years’ worth of accounts to prove your income, although there are an increasing number who are happy to offer a mortgage with evidence of just one years’, and some will even consider after nine months. For low-risk borrowers, it’s completely possible to get a contractor mortgage on a residential property with as little as 10% deposit. Others may request a higher deposit, perhaps 15 – 20% if the applicant poses a greater risk (e.g. is an older buyer, has a history of bad credit or is buying a non-standard property). A handful may even consider offering a mortgage with a loan to value (LTV) of 95% – given the right circumstances. If you don’t qualify, there are a number of government schemes available to contractors to help boost your deposit. What evidence do I need to provide with my mortgage application? When you meet with a potential lender, you will need to bring with you sufficient documented proof to back up that you earn what you have stated on your application. While it’s not essential to have an accountant, you will need to provide your self-assessment tax year overview, and SA302 documents – these outline your total annual turnover, expenses, and net income. Any additional documentation that will support your application and demonstrate that you will be able to keep up with the loan repayments will also help towards your case. How do I get the best rates for my contractor mortgage? Generally speaking, the very best rates are likely to be reserved for those who have been trading as a contractor for three or more years and have a good credit history. If this is your situation, you should have access to pretty much the whole market. Those of you with less than three years of accounts (and/or pose a higher risk) will be more limited to your choice of lenders, and therefore rates are likely to be less competitive – but that doesn’t mean there isn’t a great deal out there for you. Whatever your situation, working with a broker with whole of market access will guarantee you get the best deal for your individual circumstances.